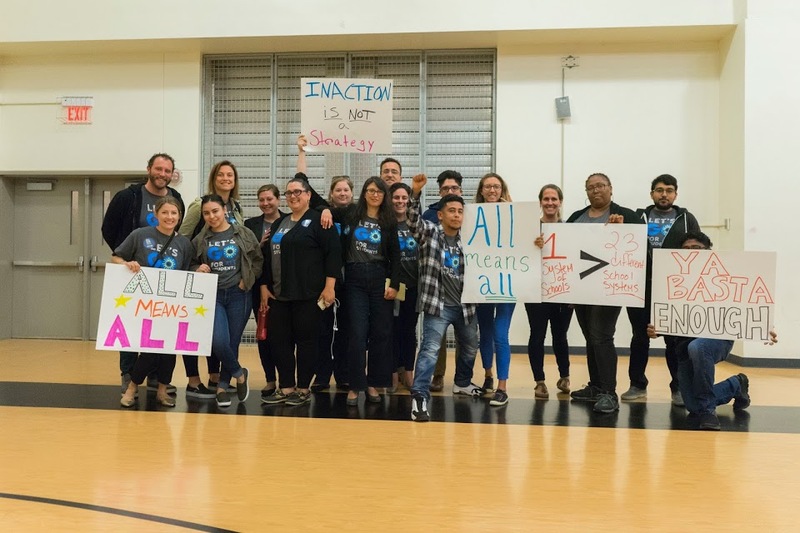 Last night, the Oakland Unified School District (OUSD) Board of Education voted to adopt the Community of Schools City Wide Plan, a big step in the fight to address and tackle inequality in our school system. While the discussion about the plan has been contentious, the Superintendent had it right with her reflection that we’re all outraged about the same thing – most students in Oakland do not have access to a quality education in their neighborhood. We believe that the City Wide Plan sets forth the path to come together and figure out a way forward to a unified system of public schools that holds both district and charter leaders accountable for increasing quality, equity, and sustainability. The Board voted 5-1-1 in favor of the plan, with President Aimee Eng, Vice President Jody London, Director Jumoke Hinton Hodge, Director Gary Yee, and Director James Harris voting yes, Director Roseann Torres voting no, and Director Shanti Gonzales abstaining. The passing of the City Wide Plan shows our board’s and our Superintendent’s commitment to all families in our city, and to fiscal sustainability, quality, and equity across district and charter schools. At this pivotal time, we are grateful for the effort and energy that resulted in last night’s vote for ALL of Oakland’s students. In the coming months, 1Oakland will continue to bring the community together for Oakland students. We invite you, no matter what perspective you bring, to be an active listener and participant in these conversations. Look out for invitations to events in the near future and reach out to me at angela@gopublicschools.org if you want talk details of the City Wide plan or get involved as a leader with 1Oakland.